Church of the Nations - Missed an AC Talk? Download it here! If you haven’t received the latest copy of AC TALK feel free download it from the link below. AC TALK is a combination of thoughts, experiences, prophetic insights and more from the Apostolic Council. Have you ever wanted to know more about the members of the Apostolic Council, and the role they play in Church of the Nations? 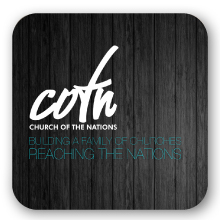 If you would like to be updated with the latest COTN news, make sure you subscribe to our newsletter and you will receive COTN updates right in your inbox.